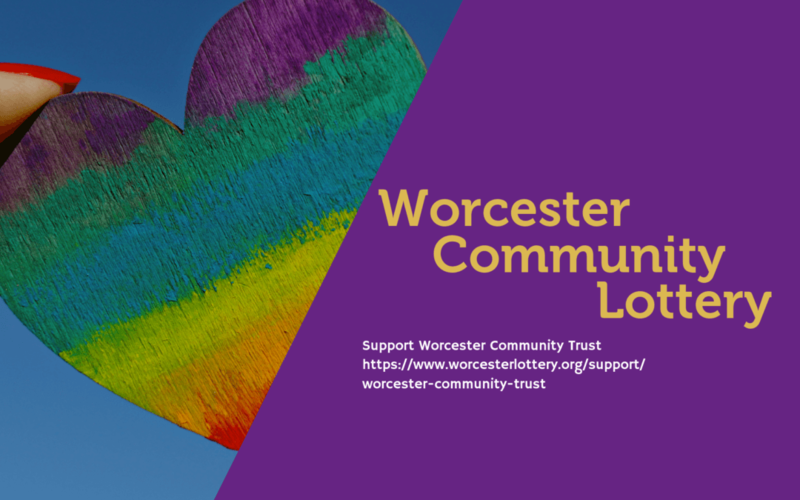 We are delighted to be involved with the Worcester Community Lottery – if you choose to support Worcester Community Trust then 50p of your ticket will go to the Trust each month and 10p to other fantastic charitable causes across Worcester. You will also get entered into a prize draw! Worcester Community Trust works across its 6 centres in Worcester offering vital support to thousands of people who use and benefit from our work. We directly supported over 4500 people in 2018! Recently, we have had a huge impact on those who have needed our help in Worcester, from young people being supported to find new opportunities, to adults and older people connecting with one another. In fact, over 4500 people were directly supported by the Trust last year, which is incredible. DAWN– A specialist programme supporting women and children affected by, and experiencing, domestic abuse. Has supported 189 women out of an abusive relationship and helped 280 children who were at risk of serious live safer lives. The Building Block – Construction skills training centre that works with the project teams to bring people together, improve confidence, skills – which has enabled over 642 people to train in construction skills and helped 21 people gain employment. Snack & Chat Project – Bringing older people together, connecting those who may be isolated or who want to make new friendships. Snack and chat has served 3157 hot dinners and hosting over 50 events in 2018/17. JOY– supporting women on their own journey which provides support to enable women to increase confidence, access new skills and empower. Helping 351 women gain accredited training, 230 women stating improved self confidence and 70 becoming volunteers and mentors. Job Coach– supporting those furthest from the job market, which has enabled over 122 clients in2018/17, 28 going into job search and 41 going into employment. With more people coming to us for support than ever before – it is important this year, now more than ever, that we can grow the reach of the work we do and identify those who are vulnerable and who would benefit from our support. This year we are focussing on improving mental wellbeing, enhancing lives and bringing people together. There is a growing need that surrounds us every single day and we have the opportunity to impact the lives of so many people – to do this we need your help! So good luck and thank you for supporting a great cause, you really will be making a big difference!